The TBS (The Bakery Shop) incident is a case study for an Egyptian brand that went viral across social media platforms. 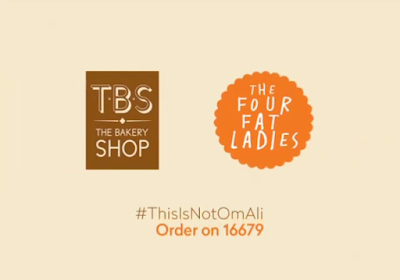 The story begun when TBS started to offer Croissant Om Ali in a partnership with The Four Fat Ladies Bakery. Early morning on July 7th, angry customers who experienced a severe food poisoning started to post comments to the official Facebook page of TBS describing their frustration and their painful experience visiting hospitals to get a proper medical care, etc - a nightmare by definition to any brand (specially when the Ministry of Health decides to shut down the TBS factory and some branches). TBS social media team was very active in responding to complaints posted by the angry customers, apologizing and asking for contact details to further communicate with them - responses were just few hours after complaints were posted post mid-night. TBS brand responded in two statements posted to their official Facebook page; one on 8th of July and another one on 11th of July (unlike TBS's official website that doesn't cover the incident at all). Using his personal Facebook account, Sameh El Sadat, one of TBS co-founders, started to respond to comments posted by the angry customers. Although the official Facebook page admin has responded before, he responded again apologizing to them (one by one). Sameh's replies (he started responding on July 8th) were asking angry customers to contact the medical service provider Tabiby 24/7 that will take care of TBS customers fully without any charges. Yesterday, the official page posted an update with personal phone numbers for 3 co-founders offering fans to communicate any feedback directly with them. For 3 days after the incident (and after the 1st post responding to the crisis), TBS's official social media accounts remained inactive without any update. This was a mistake. On a daily basis, a post should highlight what's going on - how many customers had recovered, results out of quality team investigations, total customers reported to be infected (how many were mild cases, how many used Tabiby service, how many stayed at hospital for further medical care, etc). I do not know, but if an SMS campaign would have been sent to database of customers who placed orders to buy Croissant Om Ali apologizing to them and urging them to call Tabiby in case of emergency - this would be perfect. May be a YouTube video for TBS management expressing apologies and updating customers might be a good idea as well. It seems that TBS was interested in communicating effectively with its Facebook fans unlike other platforms. For example, the second announcement was not posted to Instagram. Also, many Twitter mentions to the incident were ignored. For example, searching Twitter for "TBS Om Ali" will show us many positive sentiment tweets where retweeting or responding to them will be a great initiative that shows how TBS brand is keen to listen to its stakeholders wherever they are. Although TripAdvisor reviews for TBS are not mentioning Om Ali food poisoning (so far), but it would be good to keep an eye there as well. Social media influencers can play a vital role as brand advocates for TBS. The high level of customer service attitude and quality control commitment - both expressed by TBS management would encourage any influencer to support the brand. According to Alia Serry on Identity Magazine, TBS sent out free samples, before the crisis of course, to a batch of Egyptian social media influencers and celebrities, the likes of actress Engy Wegdan, model Zayneb Azzam and show host Bassem Gameel amongst others, who all didn’t hesitate to snap alluring shots of the dessert on hashtag #ThisIsNotOmAli urging their followers to hurriedly grab a bite. Social media is really powerful in showing brands how much they are loved by their own customers and fans. Above Facebook posts received about 300 shares within 4 hours only. Many of TBS loyal customers had expressed their love including even some of those who had been infected. Ignoring them is really bad while thanking them, retweeting them, liking them, etc will be really helpful - those are the brand true advocates. Once this issue is solved, TBS will need to run a marketing campaign to position itself as a brand loyal to its customers with high dedication and commitment to the food quality. For a bakery brand like TBS, food quality is always important. It is actually the brand's key success factor. Without strict quality control procedures, the brand would lose its customers. TBS should pay more attention to its operations in terms of quality control and food cooking standards. What happened to TBS is raising the very common question across digital media industry experts: Should brands like TBS outsource their social media operations to an experienced agency, or should they handle social media operations internally? Generally speaking, it is essential to consider having a crisis management PR plan whether social media management is handled internally or externally. Now, the question is: Where is the response of the Four Fat Ladies Bakery?